"Titan has oceans within oceans, my friend, and you do not wish to see what swims those depths. Perhaps the Hive are growing gills. Ha!" 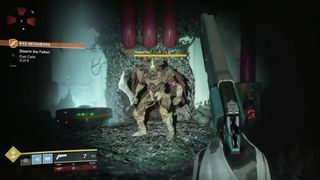 Thaan'Hul is a Hive Knight encountered in the DS Quarters-2 Lost Sector on Titan.